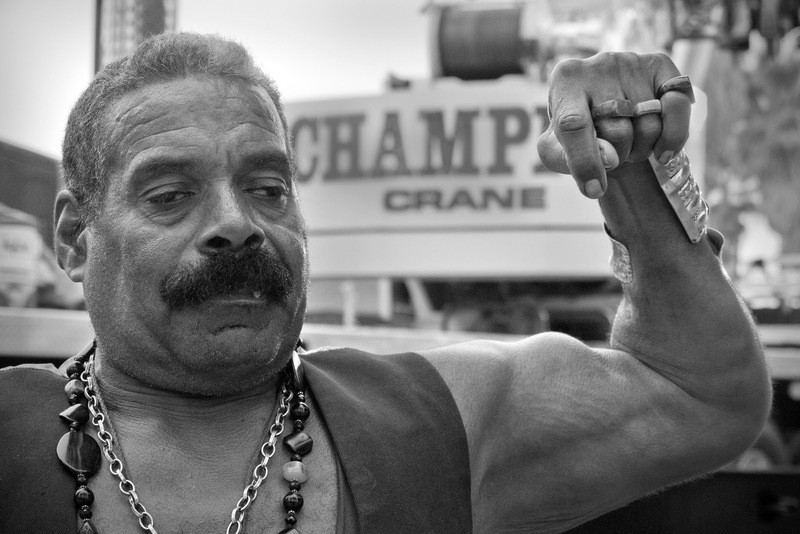 Bill is a fixture at Venice's Muscle Beach. If you've visited the world famous body building locale, chances are you saw him hanging around. I've talked to Bill during a prior stroll down the boardwalk, but never knew, nor asked his name. Mea maxima culpa. How long Bill has been part of the landscape? I don't have an answer to this question but if you ask him nicely, he'll be happy to show you a picture of himself with a young Arnold Schwarzengger, body builder/actor [long before Arnold's days as governor of California]. Hopefully Bill will be around for a long while; one of the many characters that make Venice Beach what it is and why it's worth the visit.